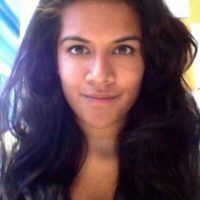 Geetika Rudra is a data analyst at Dataminr. Rudra, Geetika. "Journalism is community." Nieman Journalism Lab. Nieman Foundation for Journalism at Harvard, 14 Dec. 2016. Web. 19 Apr. 2019. Rudra, Geetika. "Journalism is community." Nieman Journalism Lab. Last modified December 14, 2016. Accessed April 19, 2019. https://www.niemanlab.org/2016/12/journalism-is-community/.